"Wireframe CC is a good free web design tool"
I like that Wireframe CC uses a minimal structure in order to show website elements. I like that it provides lots of options for elements and that it is very straight-forward to use. I also like that the tool is no cost and I can just save the URLs in order to present the wireframes to clients. I dislike some of the colors that are used for the products. I think that shades of gray and the tomato colors are dreadful. Also, sometimes placing the items in alignment can get tricky. I would like it if there were guidelines, similar to what Adobe Illustrator and Photoshop use, so that I can see the vertical and horizontal alignment in more detail. Last, I wish that photos would be labeled photos. I write captions to show my clients that the image placeholder will in fact hold an image, which can be frustrating. I highly recommend this tool because it is no cost and it does the job! It is also very easy to use and so far I've not had complaints about the appearance of the wireframes. Wireframe CC helps me show my clients where the website elements will be placed without spending too much time on the details. The tool focuses on function over form, and right away my clients can tell me what elements should be placed where. It has helped me to realize that the message of a website can be communicated very early on, even without seeing the final design. "One of the best, fastest online wireframing tools on the market"
I love that wireframe.ccc is easily accessible to almost anyone. All you need is a web browser and you can easily create clean and streamlined wireframes on-the-go. It's an amazing product that I'm surprised it works so seamlessly on the web. The interface is so clean and not cluttered. It gives you exactly what you need, when you need it. Would definitely recommend! I would like to have the option to have more colors. I understand the limited palette idea, but at least a few more primary colors would be nice. Wireframe cc is a great product to create simple wireframes on the go. For multiple wireframe or more concept high fidelity wires, its better to create an account or use another software since wireframe.cc is for more low fidelity wireframes, but does it great. We needed a quick, easily accessible wireframing program, and wireframe.cc did the job. "Wireframe is a great tool for my sketch web!!!! " I did the test with wireframe because I'm starting to introduce in the web design, at the beginning I mean a workspace, after having been in a site for sketches of the website I began to understand, I like it because it is a comfortable way to start the process The web design and have a vision of where each element goes, let's say what defines as the basis to start my foray into this new discipline. One of the things that I must say about this platform is that since it is not free, it is not accessible to everyone, the test time is very limited, which does not allow you to continue testing a lot of it. and I feel that the paper and pencil gives you other freedoms. This program is quite practical, you do not have to install it and it is comfortable to use it, I recommend it 100% I feel it is a good tool that can be used if web sketching is, it is good because you can work everything from the computer and There is no need to transcribe sketches. All new experience with an interface solves a problem, the problem that I feel has resolved this site is the fact of being able to organize the sketches of my future webs with which I am venturing, that is already rich for knowledge. ""Wireframe.cc is the best instrument available!"" Love the straightforwardness and usability. I can truly assemble a venture in under 10 minutes that would take me hours on other platforms.After utilizing Wireframe.cc for quite a while in different events, I could state that it offers the best involvement in making essential blueprint of the site that clients need to make. Straightforward blueprints, boxes, hues, and plans joined with basic strategy, makes the best client experience. The effortlessness of the program can likewise be the destruction. It's not extraordinary when you have to demonstrate a customer a more fleshed out mockup with genuine duplicate or photographs. Content can be embedded yet pictures are spoken to as shapes. Extraordinary programming when you need a fast, straightforward wireframe of a site design. It's pleasant that you can review the view for versatile/tablet or work area as well.We required a fast, effectively available wireframing program, and wireframe.cc carried out the responsibility. "Simple Visual Program for Wireframing "
The Wireframe.cc interface is really simple for a quick sketch of a layout or build out a website. It's easy to understand after clicking around a bit (unlike some other design programs that may need training.) I also like that you can export to PDF or share the link of the wireframe with a client or coworker. The simplicity of the program can also be the downfall. It's not great when you need to show a client a more fleshed out mockup with actual copy or photos. Text can be inserted but images are represented as shapes. Great software when you need a quick, simple wireframe of a site layout. It's nice that you can preview the view for mobile/tablet or desktop as well. Pricing is about $15 dollars a month to do very basic wireframing (which is what the pitch is). However, with the lack of autosave features, bugs in the interface and saving, and clunky UI, it is a painful experience. On top of the issues, there is no support and it looks like the company no longer exists outside of payment acceptance and the product existing. It's a dead tool with no support - highly advise any designers to look for better tools. I love that it makes getting an idea from your head to the screen for some UX project about as simple as drawing on graph paper. At times the interface can be a little finicky, and I'd like a little more functionality and precision. If you need something quick and easy to get an idea going, this is a good tool. However, it lacks the depth of other wireframing tools, and if you're working on a more in-depth project or concept, you may want to consider something else. 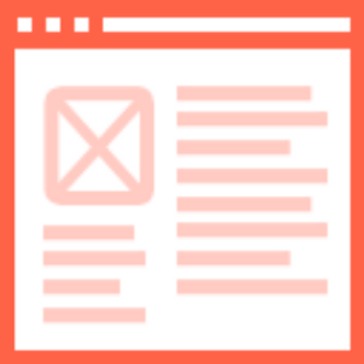 "Wireframe.cc gives users easy method of creating basic looks of the website they want to create." After using Wireframe.cc for some time in various occasions, I could say that it offers the best experience in creating basic outline of the website that users want to create. Simple outlines, boxes, colors, and designs combined with simple method, creates the best user experience. This would be for all wireframing software, but because of its simplicity, sometimes it doesn't give clear enough outline to clients. Some clients want to see the actual website on a browser to grab an idea how it's going to look, instead of drawings of boxes and lines. Use Wireframe.cc if you want to create a website, but do not have clear idea on how you want to structure it. This gives you easy ways to do so, and it is simple enough to make changes in a very short time. I have used Wireframe.cc at work and school projects to outline basic idea of the website I was creating. Because it does not require any coding, it takes significantly lesser time than actually coding, and this allowed me to make quick changes at the meetings and show what it would look like to clients. I love how easy it is to use extremely unfriendly, great customer support i love how it is used to help students and how it can be used in the professional environment to make a UX. Wireframe.cc makes it easier than ever to ideate and iterate quickly on simple wireframe designs. I'm not sure there's anything about wireframe.cc that I dislike. They had a free plan to we would try it out before we committed to it and the features in the paid version are definitely worth the value. Wireframe.cc is restricting in some senses, but it's usually by design. If you want a mockup tool, look elsewhere. Used to help develop the UI for multiple sites. "Wireframe.cc is the best tool on the market!" Love the simplicity and ease of use. I can literally put together a project in less than 10 minutes that would take me hours on other platforms. It would be nice to be able to record the process within the application so I could reproduce concepts easily. Great application! I would (and do) use this over every other wireframing software. I can easily show clients my work, and export these wireframes in a variety of different formats to suit their needs. Additionally, I can store these designs on the cloud so they're accessible when I need them. "The perfect tool for thinking through your design"
100% it's ease of use. It's a very straight forward product that serves a single purpose, wireframes. Sometimes having 100 different specialized tools can be cumbersome to the process, but this is one of the one that it's worth it. I felt like initially the UI was a tad confusing to work in and determine how to get it to do what I wanted, but this is sometimes what happens with simple programs, you have to learn their limitations to better understand what is actually there. A lot can be done with just the free version of the product. I highly recommend starting their (it's what I currently use) and then as you are using it determine if there are additional features that you are looking for above and beyond what the free version offers. The free version has filled the needs I had in a product as of now. I was introduced to Wireframe.cc by a colleague who was using it to prep for his designs. It's since become a staple role in my process. It allows me to very quickly get my ideas into a format that I can share with others for review. I use it primarily after I have an initial mockup designed to quickly be able to throw together inner pages or mobile designs into a format that others can see how the elements will need to be arranged in the design for these purposes and how they will break down responsively. Wireframing in Photoshop or Illustrator can be tedious especially with tight project deadlines. This service allows you to create fast and clean wireframes in no time. Lots of basic options! There is a grid, but your objects do not snap. You are able to align them with the guides and align tools, but being able to snap to grid would make things a lot easier. For fast and easy wireframing - use Wireframe.cc. I havent found a more easy, useful service like this yet. Web Design wireframes for client websites without the use of memory-drawing programs like Photoshop or Illustrator. "Helpful for a stripped-down approach"
The free version offers enough for a simple approach to design blueprints. It gives you all you need for a basic file to share with clients, coworkers, etc. The free version only offers a week and from then you need to pay. There should be a level for free users to continue to have access to their designs long after the seven days is up. However, if you're a frequent "wireframer," then paying may not be much of a hassle for you. Depending on your needs, evaluate the competition and see what works for you. However, for the bare essentials, Wireframe.cc works quite well. A bare-bones platform for web design that is easy to use and visually appealing. What I love best about Wireframe.cc is its extremely intuitive interface, and how it makes learning to use the software so easy. Wireframe.cc reduces the time taken to draw up wireframes significantly. The sharing features are also quite convenient (even in the free version). Due to its extremely simple nature, it might not have all the features that a user is looking for. But I think that it is a minor setback relative to all its awesome features. If ease of use and simplicity is a priority, I would highly recommend Wireframe.cc over its competitors. I highly recommend Wireframe.cc if you are looking for a simple prototyping tool for web and mobile interfaces. It is not a tool to mockup high fidelity wireframes. I used Wireframe.cc to quickly draw, mockup, and edit my wireframes for both desktop and mobile websites. Wireframe.cc made it really easy to share my designs with clients and developers. I also used it extensively to mockup the design of a banking mobile app. "Great tool for quick wireframe discussions through to the beginning of the development phase." The ability to quickly build a user experience that exists outside of powerpoint or pdf. This tool does a great job of bringing wireframes to life to spur the development process. The tool can be slow and clunky sometimes depending on your connection. The lack of ability to export these wireframes in the format that my clients require can also lead to some challenges. Use it and you'll love it! We use wireframe.cc to build wireframes of the user experience of websites. The benefits of using this tool is the ability to provide a real working, yet lacking colors and design, models of how the experience will work. Previously this was only accomplished using power point of expensive PDF comps. "Easy to use with a clean interface." I like how clean and minimalist everything is. It makes it easy to avoid the bells and whistles and really get down the main ideas behind the web design or app design (web design, in my case). I also like that they offer a free version. There's no how-to guide or any sort of intro, so it takes a little bit of time to figure out use (as opposed to some other wireframing products on the market). Used it for website renovations. Minimalistic interface: there is nothing superfluous on the working screen - only a small panel of buttons and a device window. Templates browser window and mobile device (in landscape and portrait design). makes it easy to create a site framework that can be useful for a company . but the main problem is that more frequent updates are needed. "Good for very basic low fidelity wireframes "
I like how simple and user-friendly it is that even a new intern could play around with it and figure things out. I wish there a just a little more customization that could be applied to your wireframe elements. Wireframes are an integral part of the design process and Wireframe.cc is a good alternative to pen and paper. Wireframe.cc is great for someone who is not a designer because it's simple and easy to draw up a design. There are absolutely no frills and it's easy for users to put together a quick design layout. As a designer, it's not worth the price. I personally work better with a whiteboard for initial wireframes and once those are solidified to some degree, find it perfectly easy to put together wireframes with Adobe InDesign. Learn how to use Adobe InDesign or just a pen and a piece of paper. I used Wireframe.cc for a UX Design course with CareerFoundry. It's definitely simple and easy to use but not a product that I find particularly useful. "Wireframe.cc – Just the Basics"
Wireframe.cc is a no frills online program that is a very minimalist tool for wireframing projects. It's very straight forward and easy to learn. It really is just for wireframing, and for very basic wireframes. If your clients need more than shapes and placeholders for their wireframes, another program may be needed. The addition of more features may help with more developed, complex wireframes. Very simple, down and dirty wireframing that are quick and easy to create. "Easy to Use, Best for On-the-go." It's simple, has all the minimal functions I need for quick work, throwing down new ideas or providing examples during meetings. Perfect for web-based basic needs on the go. Could have more features (especially for free level of freemium tiers). Able to do quick work on any device. Makes remote and mobile easier. "Wireframe.cc is easy and convenient to use"
"Good mock up software, but pricey over a year." Nice simple interface, easy to learn, uncluttered. A little bit too pricey, and I'd love to be able to download an offline version to use. Web mockups for clients as they specify requirements. "Easy, simple experience to create wireframes fast"
I am particularly fond of how clean and simple the layout is, but I also like that I can make annotations and save my wireframes for future adaptations. There is no way to measure elements to decide sizes/ratios or to convert to html divs. Just simple, fast wireframing for website redesign ideas. I like how simple it is to setup wireframes and create concept flows for site design. It saves frames and allows you to frame with mobile in mind. I'm not sure there's anything about wireframe.cc that I dislike. They had a free plan to we would try it out before we committed to it and the features in the paid version are definitely worth the value. We're trying to resolve how to map out a site's content and structure before we start the front end design. We gained the benefit of considering mobile and desktop mapping all at the same time. What I like is that Wireframe is practical and we can use it with in simple way to design your projects, sketches. I like it because you can create your designs and edit them when you want. The user must be clear that Wireframe there is not colored images, it is one of its characteristics. It isan excellent software. It is implemented in my store helping me to keep a better outlook and order on the papers. I have realized it keep my tasks well designed. Wireframe.cc makes it easier than ever to ideate and iterate quickly on simple wireframe designs. Wireframe.cc is restricting in some senses, but it's usually by design. If you want a mockup tool, look elsewhere. Wireframe's a quick way to share ideas, without the hassle of sharing files. "A simple but solid wireframe tool"
Wireframe.cc has a very handy grid to work with and some excellent tools like the snapping for alignment and ability to lock items. I’d like a little more freedom to customise the modules I can add. "Wonderful Interface for Laying Out Websites"
I love the way it allows you to layout a website without all the frills and distractions of imagery and colors. Just barebones designing. I don't dislike much! The navigation takes a little getting used to but that's about it. I solved outlining our sites before going in and populating it with graphics and content. The mobile version is somewhat clunky. I wish they had a dedicated app on the App Store. The biggest advantage to my business is that I’m able to plan out my websites design before I ever start to code anything. Easy to use wireframing tool with minimal bells and whistle. Good for communicating simple I/A on a page. Limited options and styles leave me wanting more. This tool has allowed me to visually communicate content hierarchy with stakeholders with little effort and time spent. I used to always have to do my wireframes on a piece of paper before I found this. It makes everything so much easier! Nothing, but sometimes it has a few little bugs. It's definitely a tool that makes the planning before the executing easier and more accurate. The best thing about this software is minimal interface which make it easy to use. Less clutter not unessecary things in the software. It is very basic and self explanatory even for a beginner. The user interface is awful. For a wireframe site you would think it would be a nicer looking site. After using Sympli I would never use Wireframe.cc again. I was creating a wireframe for a web application I was making. The Interface is quite easy to use and fairly self-explanatory! The user interface itself is easy to use but could use a bit more "curb appeal" for lack of better words! "Blazing fast prototyping and wireframing tool." The simple nature of the platform restricts functionality which is necessary when wireframing. I've lost a few wireframes because the saving feature was not automatic. "Not bad. Not super robust. " Limited features. Somewhat confusing interface at times. Problems: need quick wireframes. Benefit: it’s quick! * We monitor all Wireframe.cc reviews to prevent fraudulent reviews and keep review quality high. We do not post reviews by company employees or direct competitors. Validated reviews require the user to submit a screenshot of the product containing their user ID, in order to verify a user is an actual user of the product. Hi there! Are you looking to implement a solution like Wireframe.cc?